Today I headed up the Mt. Kinsman Trail from Rt. 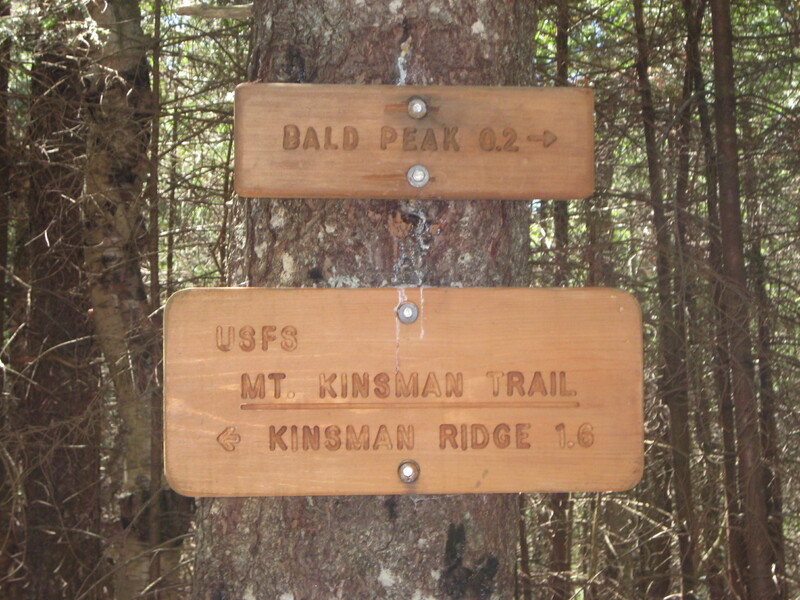 116 to North and South Kinsman, two of NH’s 4000-footers. 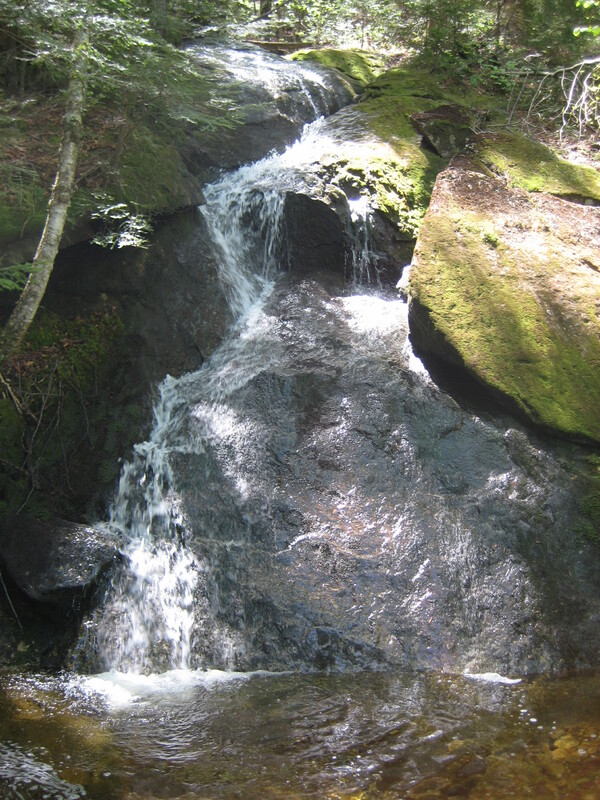 The drive itself is incredible — look closely at the granite along the road, for it contains garnet and is unique to Kinsman Notch. 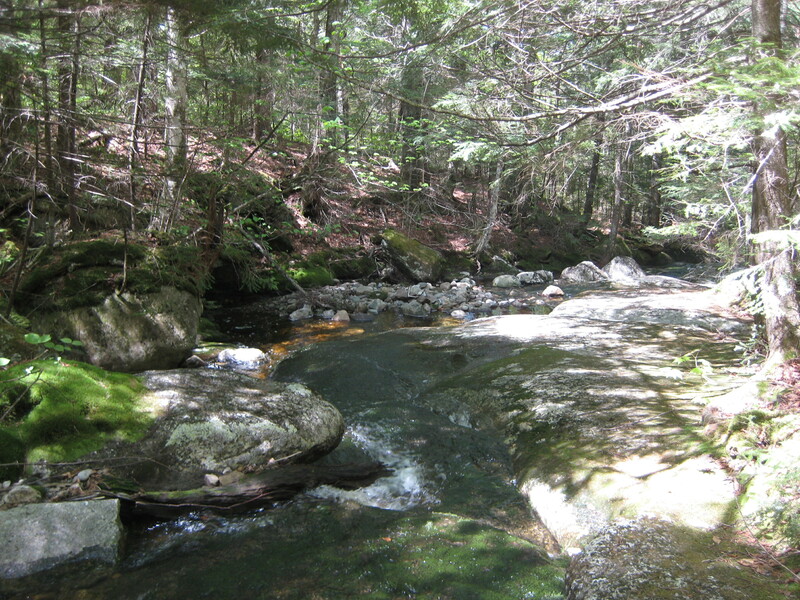 When you’re done hiking, stop by the picturesque Beaver Pond (right by the AT crossing at Kinsman Notch) before heading back to the hostel. The trailhead sign is very modest considering the epic-ness of the views to come. The trail starts out nice and easy. 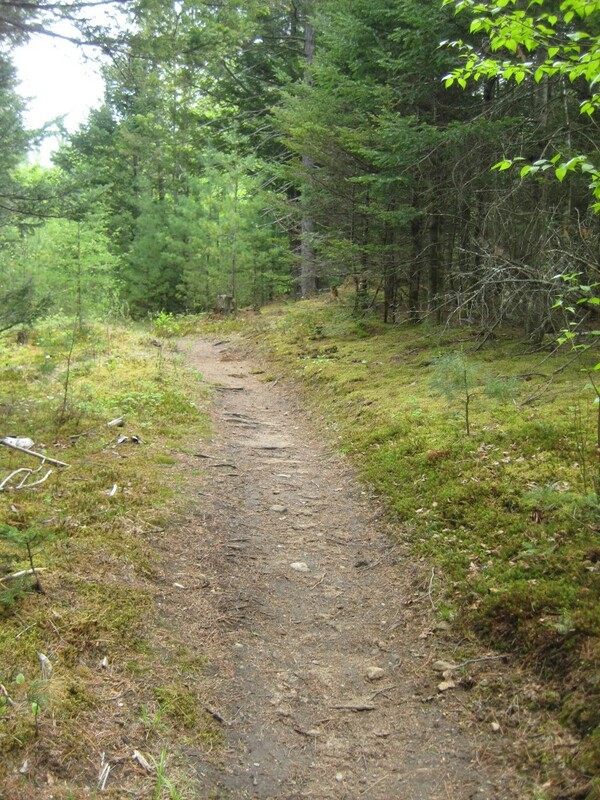 I chatted with Bruce, the guy who maintains this trail, along the way. He was already well into his spring trail clean-up work. 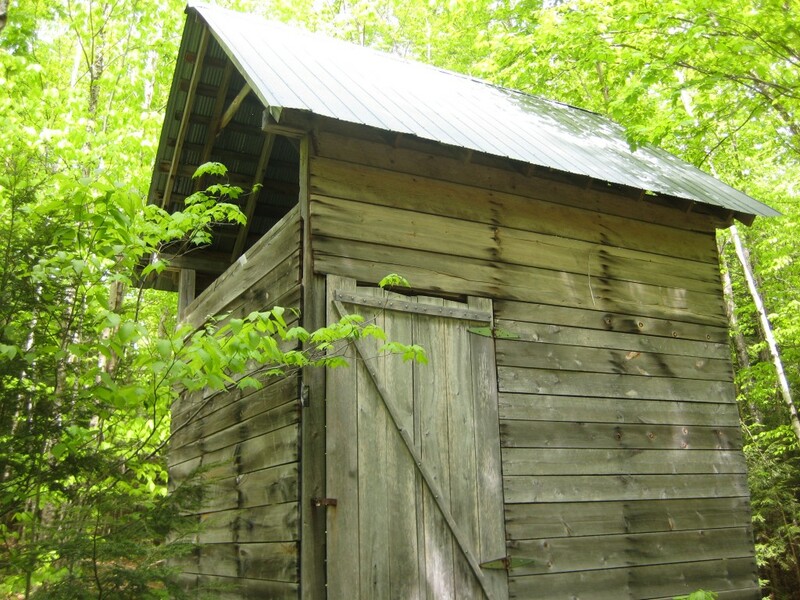 You’ll pass this locked maintenance shed soon after starting down Mt. 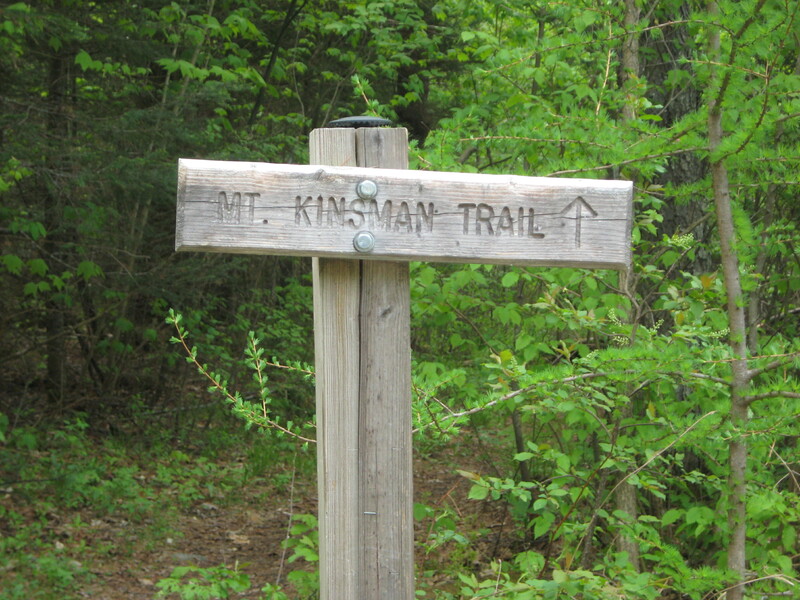 Kinsman Trail. This section of the trail is still private property. 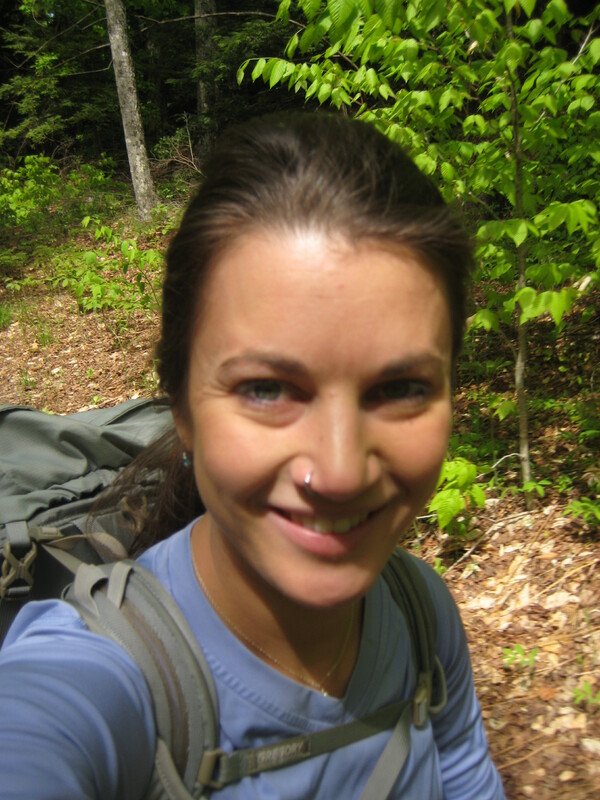 Happy to be out on the trail! Some easy water crossings along the way. Mud was minimal. A pretty little cascade along the trail. Bald Peak is a great spot with a view that’s only 0.2 miles off the trail. Made it to Kinsman Ridge! From here, I headed over North and South Kinsman. 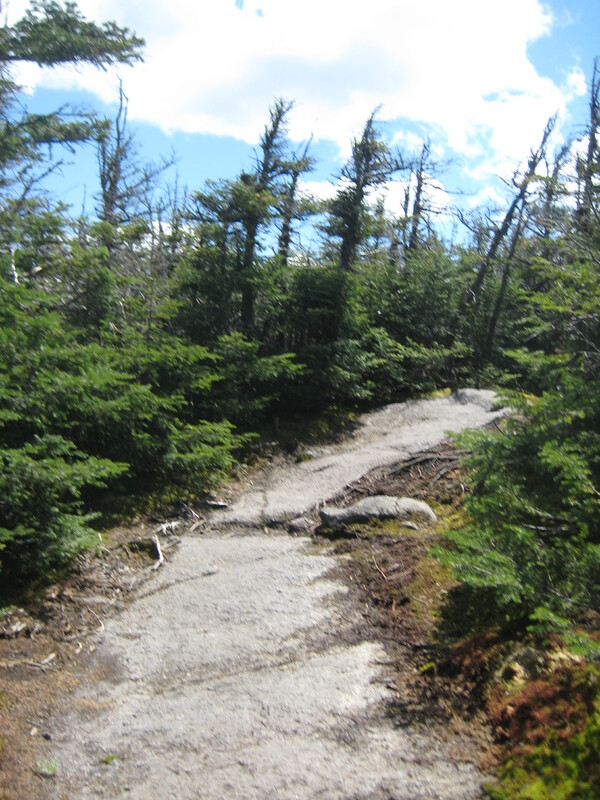 The Appalachian Trail runs along Kinsman Ridge over Mt. 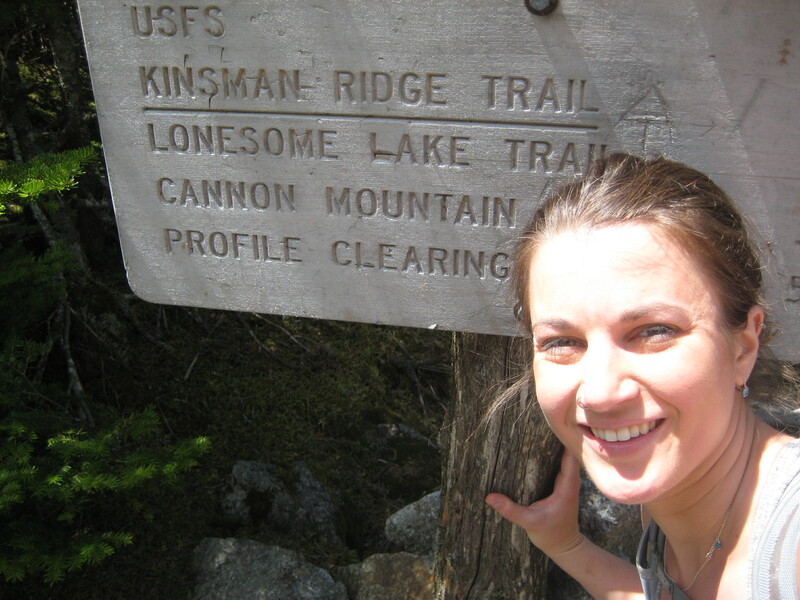 Wolf, South and North Kinsman (both 4000-footers), and then descends down to Lonesome Lake. Meanwhile, the ridge continues over the “Cannonballs” and finally ends on Cannon Mountain. Incredible views from the lookout just below the summit of North Kinsman. I was starving by the time I got up there so I stopped here for lunch. It was so peaceful. 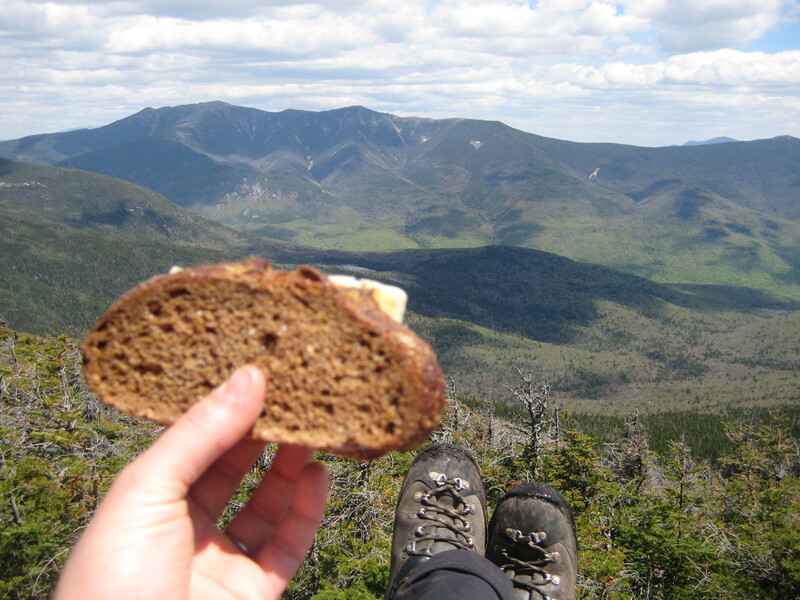 Kinsman Ridge offers spectacular views. In this video I took from North Kinsman, you can see the rest of Kinsman Ridge (the Cannonballs, Cannon Mtn. ), Lonesome Lake, all of Franconia Ridge (LaFayette, Lincoln, Little Haystack, Liberty, and Flume), Loon ski mountain, and beyond. My camera died before I made it to South Kinsman, so you’ll have to come up here yourself and check out the 360-degree views from the summit. Overall an amazing day, and I met lots of great people along the way. Thanks Kerry! 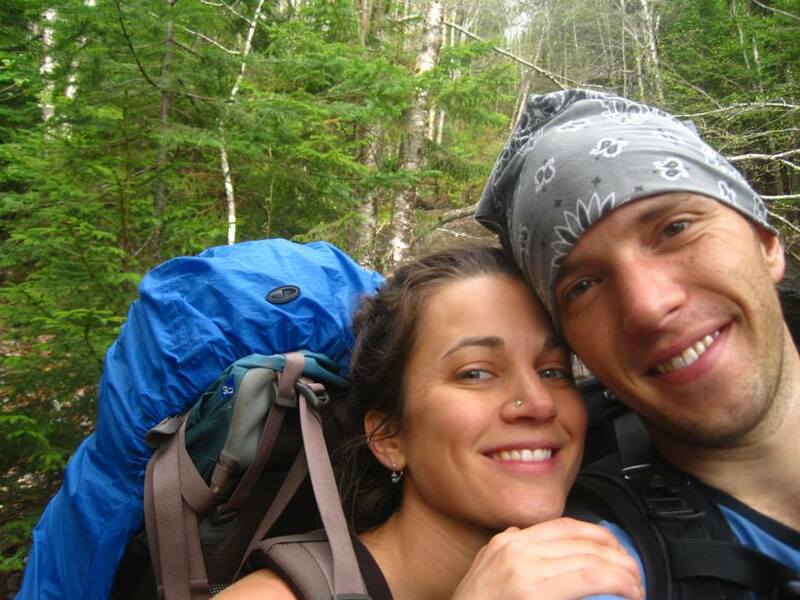 Yes, I met Alex on the trail last week, and he was quite encouraging. I appreciate your kind words and look forward to meeting you!